June was extraordinary cold (compared to long term average by 2,1°C) and subnormal as to the precipitation. Frequent storms were monitored during the whole month so the amount of precipitation could be locally very different (rather higher). There was no hop damage. Due to lower temperatures the hop growth slowed down considerably. 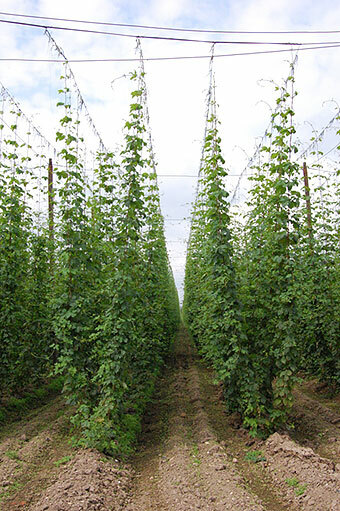 By the end of month the hop plants reach the trellis top in 80 % of hop gardens. Side shoots are well-developed. The chemical treatment against peronospora was continuing and spraying against Hop Aphids started as well. However the appearance of Hop Aphids is significantly weeker in comparison with the last year. The health state of hops is good. Photos show the typical hop-garden phase on 30th June, 2009.